Dundee started with Lockwood and Benedictus taking up the centre half spots, Connor Rennie stayed at right back, with Craig Forsyth moving to left back. Nicky Riley returned to the team. Weston, Irvine and McKeown all missed the game due to suspension. Both teams started quite slowly and not much goalmouth action for the first 15 mins. At the least the young players had settle in okay, with Graham Webster having a few good touches. But as Dundee were starting to look dangerous Stirling scored Rab Douglas made a good diving save but Mullen followed up to score from the rebound. Dundee then change and put Bartlett back to left back and moved Forsyth further forward. It worked and Dundee looked more dangerous going forward, and Harkins was unlucky with a shot which hit the post. Into the second half and Dundee started well and McIntosh forced Reidford into a diving save, then O'Donnell was unlucky when his shot came back off the bar. But the goal did come in 49 minutes when a good run from Forsyth and then found Leighton McIntosh who placed the ball into the corner for a well taken goal. Dundee's tails were up but they could not find the killer touch in front of goal. Stirling give them their dues still tried to push forward but Dundee's defence kept them out. Our best chance fell to Kyle Benedictus but his header was way off target from 15 yards out. So in the end a point is good considering the young team that were playing. 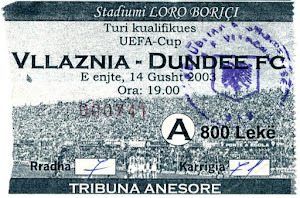 It also meant that Stirling Albion were relegated so only at worse is a playoff spot for Dundee this season. But 4 more points might be enough to avoid that. 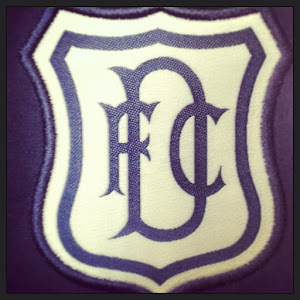 Dundee: Douglas, Rennie, Benedictus, Lockwood, Bartlett, Riley, Webster (Tulleth 73), O'Donnell, Forsyth, Harkins, McIntosh. Subs: Gibson, Carnegie, Hutcheon, Irons.